I’m an Edinburgh native who lives in Penicuik with my three young kids and husband Mark, who also runs ultras (we’re a long-run tag team at weekends). I’m a designer at National Museums Scotland, and my colleagues are used to my running exploits. In fact, a few years back I set up a Jogscotland group there and some now join me on those exploits! I’ve been running regularly for 15 years, completing my first marathon in 2004. I’ve since had the privilege of running Boston, but before that I stepped up to ultra distance with the inaugural John Muir Way 50k in 2016. I was about to turn 40 and looking for a challenge. Completely by accident I placed 2ndfemale – the race was only announced 10 weeks before the start, and all the best ultra ladies were probably saving themselves for the Fling a few weeks later. The ultra bug bit hard after that, and I’ve done 5 more including the Jedburgh 3 Peaks, GO33 and St Cuthberts Way 100k. I’ve come close to the podium a couple of times, but am usually happy just to finish! 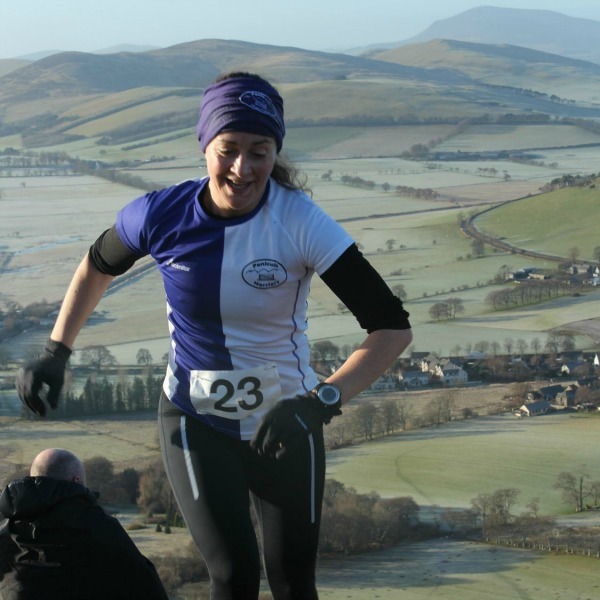 I love running silly distances and the wonderful ultra community in Scotland. A couple of my Penicuik Harriers club mates – Gilly Marshall and Chris Burns – have completed it, and continue to inspire me. Plus I’ve done the Fling, the Devil and more recently Glencoe Marathon, so I know the route pretty well. Over all though it’s an iconic race, and if I finish I’ll be as proud as punch. I have a rough time in mind, but I’ve set gold, silver and bronze targets around that, with bronze being just to finish. The last thing I want is to get to the end of the WHW and be disappointed if I miss an arbitrary target!